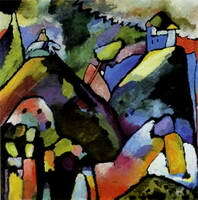 Kandinsky's artistic career was closely linked to Germany, where he had been living for long periods of time before he finally left Russia. 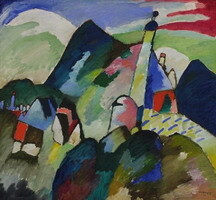 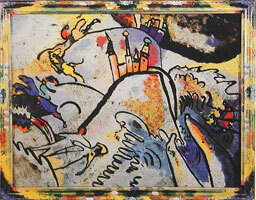 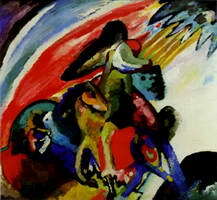 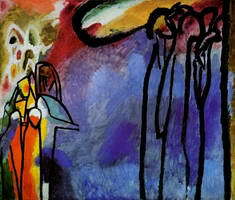 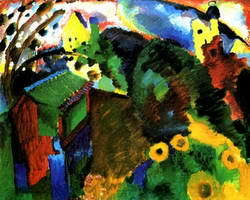 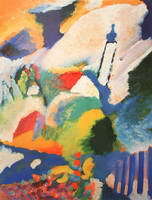 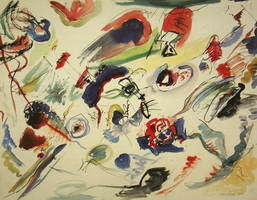 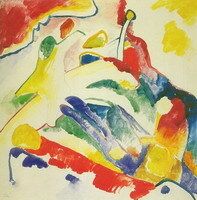 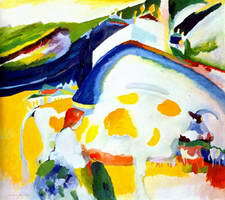 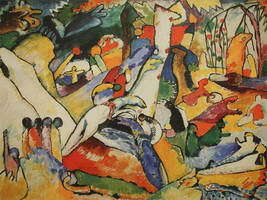 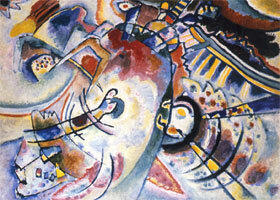 In the late 1900s, the artist lived in Murnau near Munich, where he worked a lot and made sketches from nature. 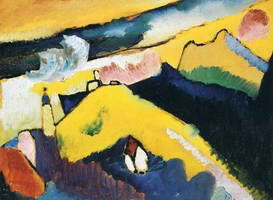 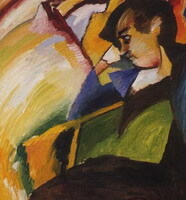 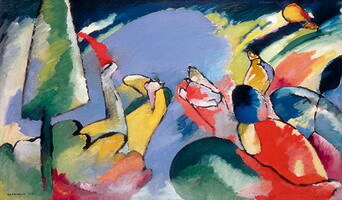 At that time he followed the ideas of Expressionism, but not so much in the context of the drama of life, which was the main theme of Expressionism, as in the process of working with the shape. 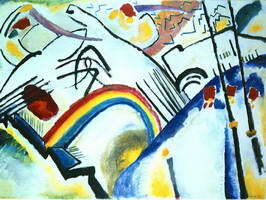 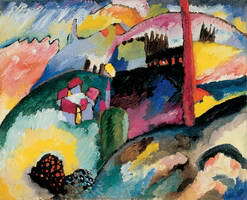 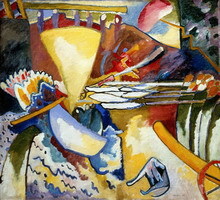 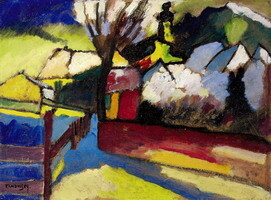 Kandinsky believed that “a subject (something real: man, tree, cloud) is just a kind of a real flavor, side tone, and fragrance in the composition”, so there is no need for its exact reproduction. 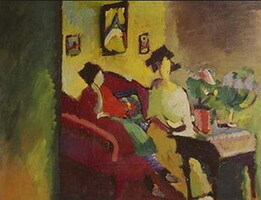 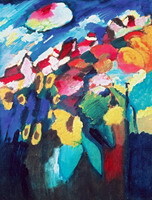 Painting affects human’s consciousness by means of color and shape. 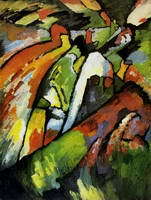 The artist understood shape as a distribution of planes and lines, the balance of which expresses movement. 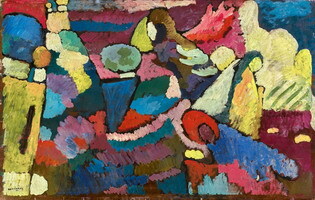 Color takes the main load not only in the aspect of emotional coloring of the work piece, but also in the construction of the composition. 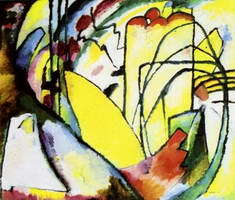 And shape either finds its subject outlines or loses them, as in the painting Lake.